Talking about listening is one of those topics that just sounds funny. 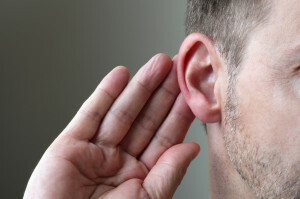 As ironic or counter intuitive as it might sound, this post is all about listening. So, in a format that does not allow for initial feedback, I need to tell you something. I genuinely want to listen to what you have to say. 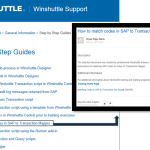 Winshuttle has always made an effort to listen to our customers. We host the Winshuttle User Group meeting every year and use the time to survey as many customers as possible (Sign up now for the EMEA WUG in Belgium http://bit.ly/1c0U2FG or the North America WUG http://bit.ly/1792oJJ in Fort Worth, TX!). 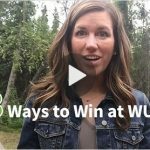 We ask for feedback when we are on the phone, on-site, at a trade show, in line at Starbucks, via a blog post….whenever we can. In short, we understand that to improve both the functionality of our products and our knowledge base, we need to know what you want. We want to hear from you. We’re all ears! I want to change this up a bit and hear about your day. Not about Winshuttle, not about SAP or Oracle, but how you spend your day. What makes your workday better or harder? How do you spend your time waiting for your reports to run? What are your biggest time wasters? By examining your whole day, we believe we can find ways to make your day more efficient. Winshuttle Support wants to know the problems that you face on a daily, weekly or even yearly basis. We may not be able to fix all of your problems, but we believe we can make you the hero of your office. 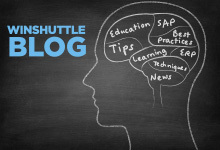 If you are a Winshuttle customer and have 30 minutes to speak with me, please email me at chad.bates@winshuttle.com. I promise to keep the meeting to 30 minutes or less and spend the entire time listening to you about your day. In exchange for your precious time, we’ll send you a $25 gift certificate. Alight, my turn is over, now it is time to listen to you.